Things are finally coming together for Creed 2. And in a hurry. After quite a long time of not really knowing or hearing anything about the movie, the project has its team in place and is racing toward a premiere date in theaters next November. We've known for a little while that Dolph Lundgren will be back as Ivan Drago, but now we might have confirmation that the character's son will be a big part of the sequel. It looks like MMA fighter Sage Northcutt spilled the beans, as he's set to audition for the role. Ever since Sylvester Stallone posted a not-so-subtle image to his Instagram teasing the return of Ivan Drago in Creed 2, many have assumed that the son of Drago would be stepping into the ring to fight Michael B. Jordan's Adonis Creed. While we still can't absolutely confirm that will be the central plot of Creed 2, we're one step closer to that, as Sage Northcutt revealed in a recent interview that he's put together an audition tape for the role of Ivan Drago's son. Here's what he had to say about it. "The new Creed 2 movie is coming out so I was actually going to audition for that. Got a little audition tape, so hopefully that goes through. That would be pretty neat. Being Ivan Drago's son in the movie? That would be pretty fun. Sylvester Stallone seems like a really cool guy, and Dolph Lundgren seems awesome. I think me and Mr. Dolph Lundgren look kind of alike." If Dolph Lundgren is returning as Ivan Drago, it only really makes sense that his son would be involved. While there's sure to be plenty of other actors lobbying for the part, Sage Northcutt, though he may not really have any acting experience, does look the part. The fighter recently posted a photoshopped picture of himself to Twitter, showcasing the likeness he shares with a younger Lundgren. We don't know if he can act, but he sure looks the part. Creed 2 was recently given an official release date of November 18, 2018. That's fast approaching, so things are going to need to start falling into place. Ryan Coogler, who directed Creed, isn't returning this time around. Instead, Sylvester Stallone, who's directed several entries in the Rocky franchise (including Rocky IV) has been tapped to direct. He also wrote the script for the movie, is on as a producer and is going to star alongside Michael B. Jordan. No pressure, Sly. Rocky IV ranks among the best entries in the franchise, so modeling Creed 2 after that in any way isn't a bad place to start. While details on the movie are still a little scarce, this recent interview with Sage Northcutt for MMAFighting.com gives us a slightly better idea of what to expect. With filming set to begin in February, we should be hearing some official casting announcements soon. 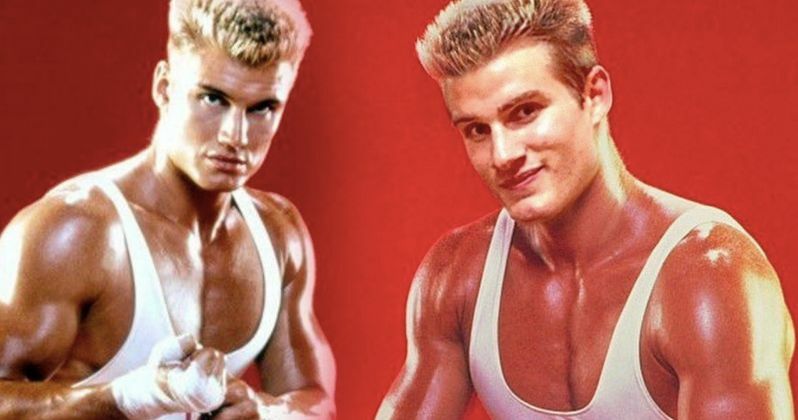 You can check out the image of Sage Northcutt as Drago for yourself below.